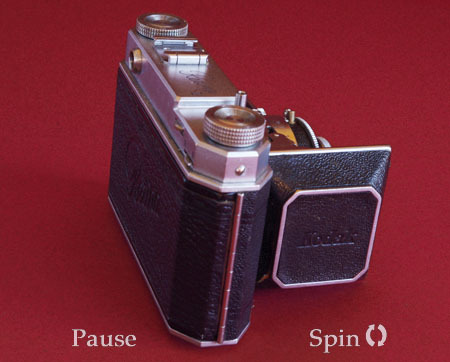 Kodak Retina II, vintage camera - all round view at 10° intervals. 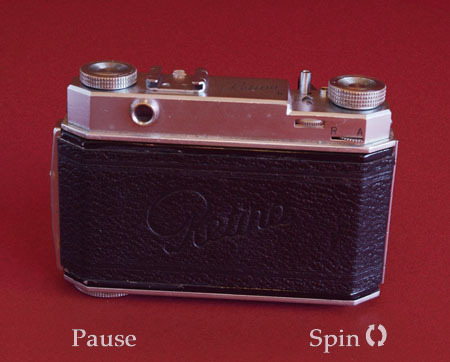 Kodak's Retina range started with the Model 117 in 1934 and from the outset was well designed and styled. 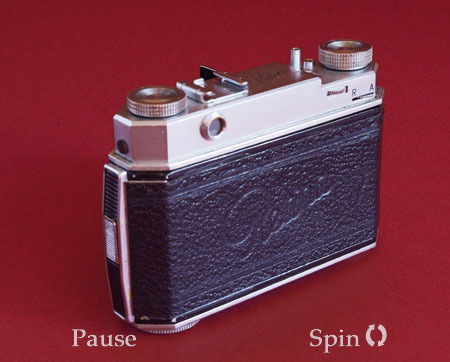 This Retina II came some 12 years later and is still clearly a descendant of the earlier camera, still managing to look handsome, and with the added functionality of a coupled rangefinder. 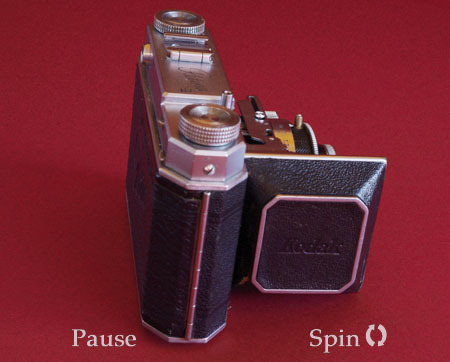 This example is the subject of our leather repair article detailing the making of logo stamping. 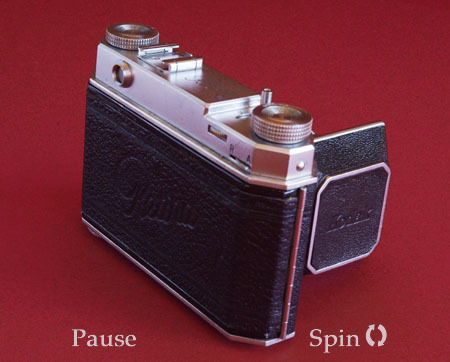 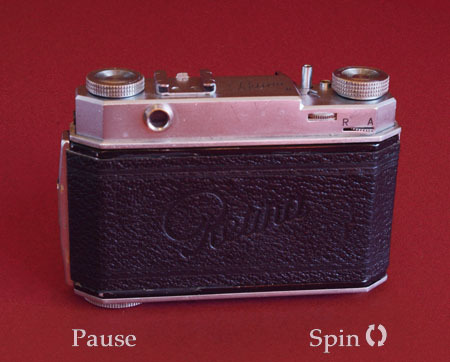 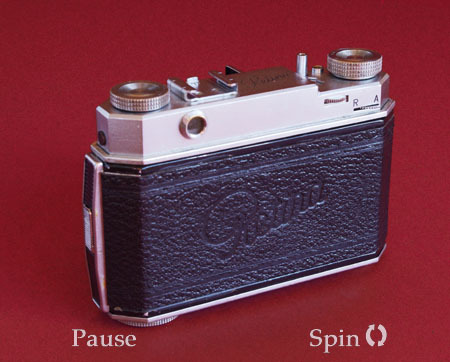 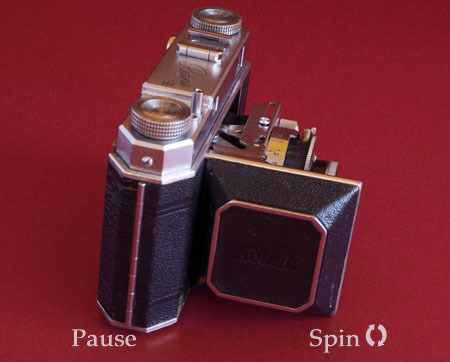 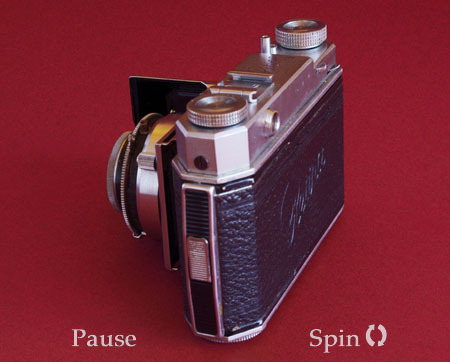 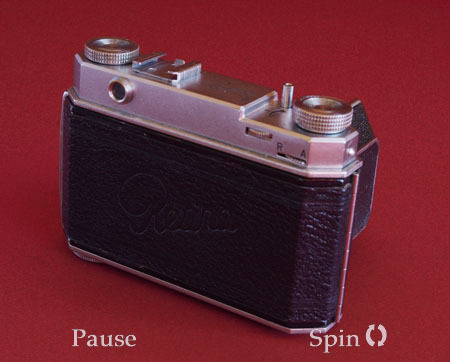 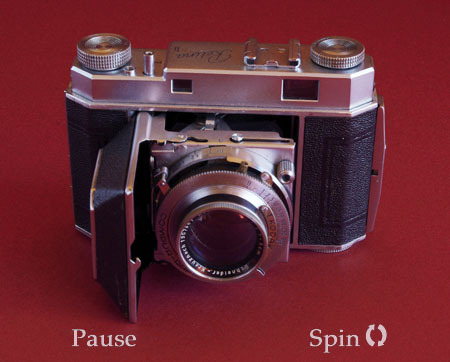 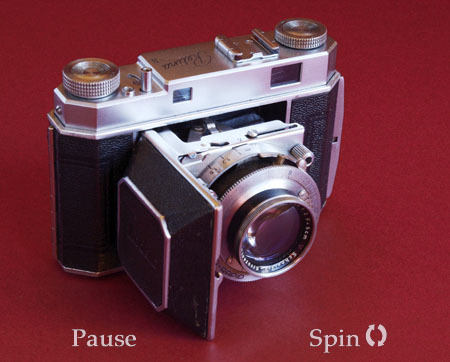 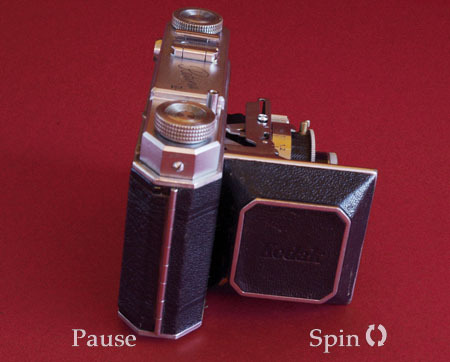 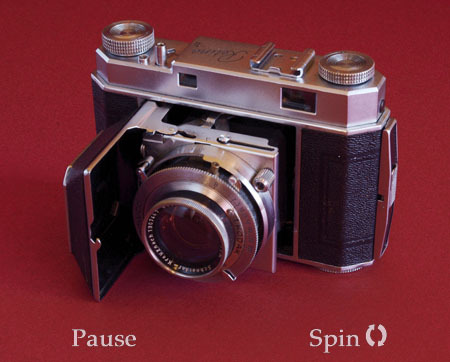 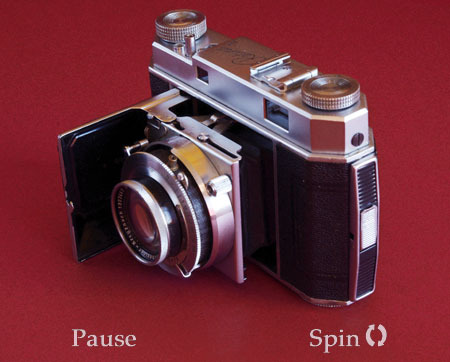 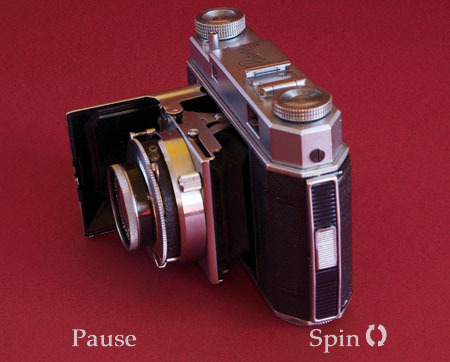 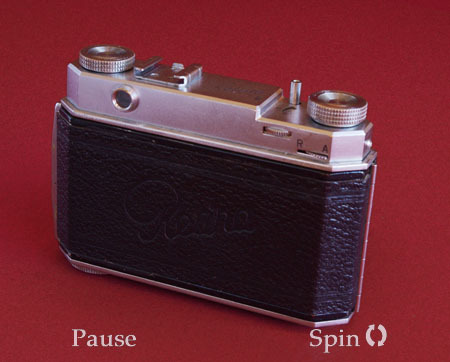 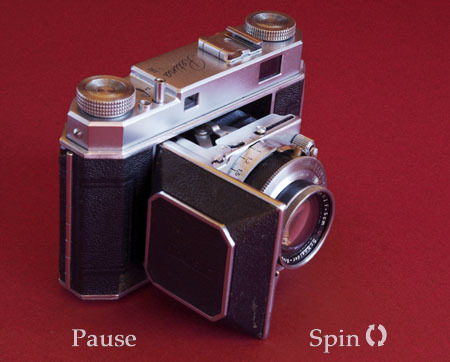 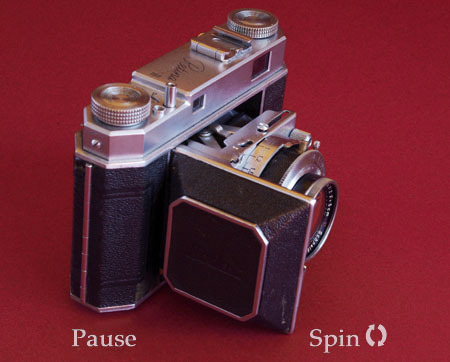 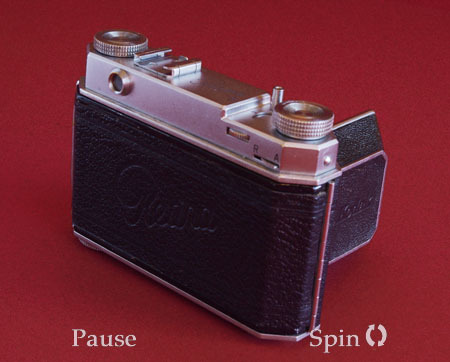 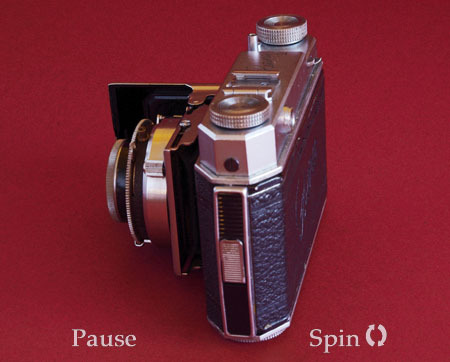 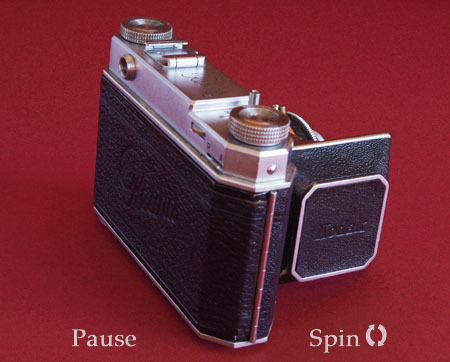 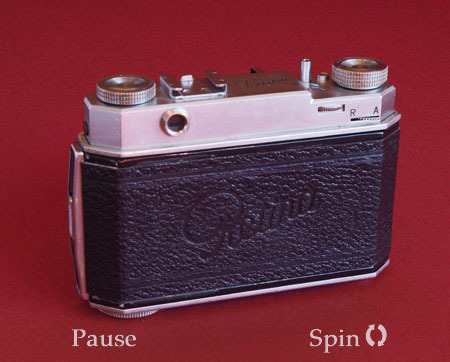 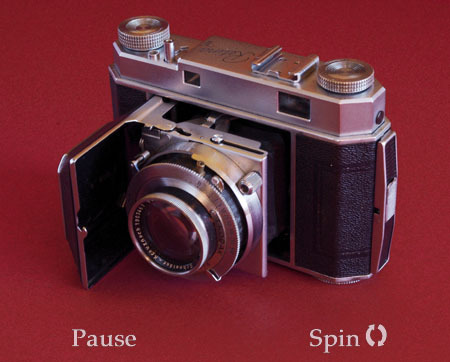 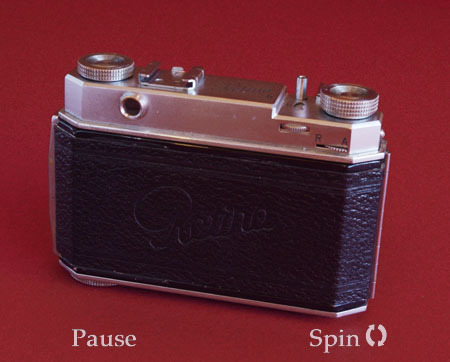 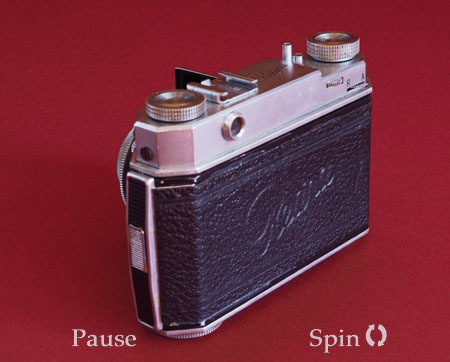 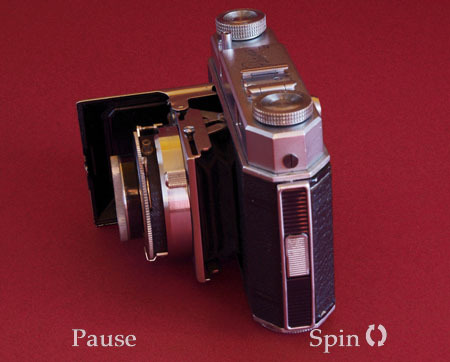 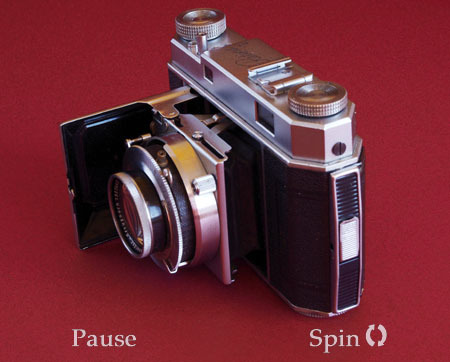 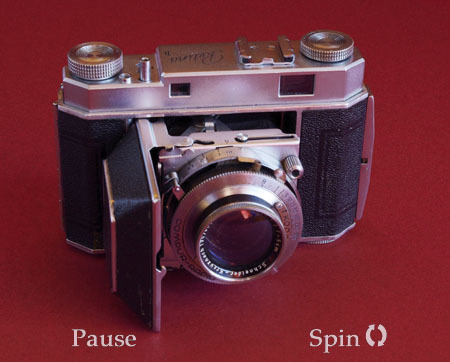 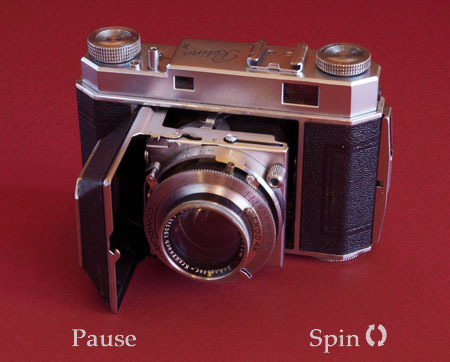 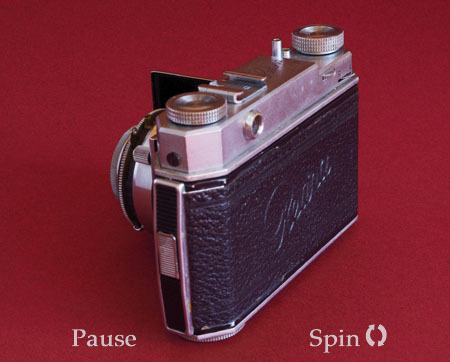 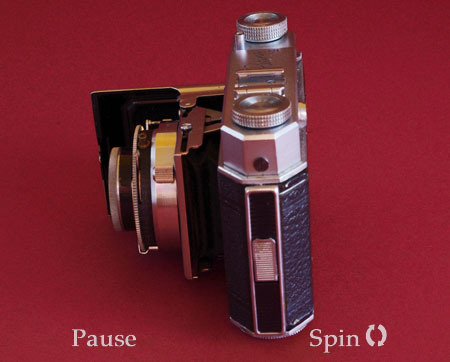 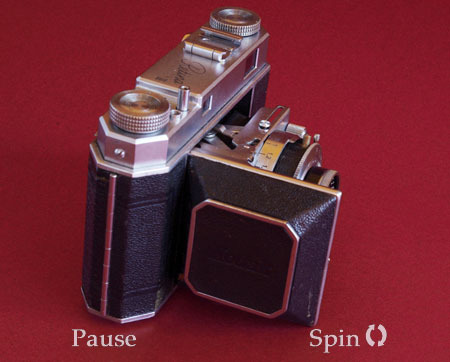 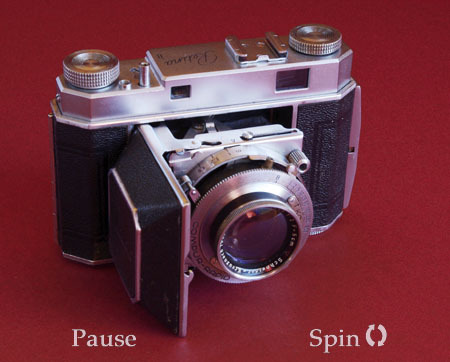 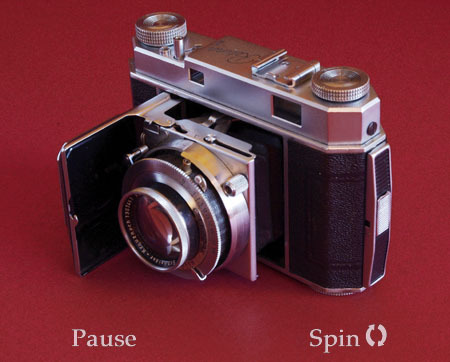 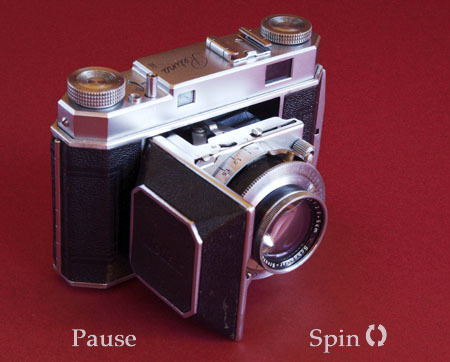 Start the image spinning by putting your cursor over the "Spin" side of the image, you can pause the animation in any position by touching the "Pause" side.